Last month, I interviewed marketing coach Terry Dean. I went in with 6 questions, expecting to come out with a nice little blog post. What I got was amazing. Terry gave the kind of in-depth answers that a lot of gurus would package up and sell you as MP3s with an upsell to get the transcripts and a CD. You can listen to the interview at the bottom of this post. What's one interesting thing about you that most people don't know? Well, I reveal a lot of things about myself on my website and in my list and in my blog because I feel it's a really good way to build a relationship and let people get to know me. So people know I have a lot of hobbies. They know that I like doing a lot of things outside of the internet and outside of business. So people know that I play a lot of video games. They know that I don't like to travel a lot. They know that I have two dogs, that I'm married, and my wife and I do a lot of different things together. We go hiking. I like to exercise and have a pool. So there's a lot of things that I do. Something I don't talk a whole lot about, to answer your question directly, is I don't talk a whole lot about my actual family, and the fact that I'm the youngest of seven children. I have 4 brothers and 2 sisters. So my parents had a really big family. My parents were older. My mother passed away a few years ago. And my dad is up in his 80s now. So I have parents who are much older than me. At the time I'm recording this, I'm 37. My mother was a little bit over 40 when she had me. So all of my brothers and sisters are much older than me. So I'm not really that close with my family, which is part of the reason that I don't talk about them a whole lot. So I'm the youngest of 7 children in my family. What are the biggest mistakes people make when choosing a market to serve? Do you ever find yourself recommending to coaching clients that they switch to a completely different market? If a client is already in a market and they've already built a large business in this market and they've been generating an income in their market, it's not really that common I would tell them to change. I do have a lot of brand new clients who come in who are just getting started in their marketplace, and I'm very willing to tell them to change and I've done it many times. I've told them to change out to a different market when they're just getting started up in a market. Well, that cliche is a lie. Because just because you love to do something, doesn't mean that people will pay you for it. You might love to sit on the couch eating Cheetohs, but nobody's going to pay you to do that. What people will pay you for is value that you add to their lives. So it's much better to figure out what value can you add? What experiences do you have in your background? What skills do you have and how can you add value to someone else's life, and enjoy and have fun doing it? How can you enjoy it at the same time? That's what we're really looking for "“ something that you enjoy and have fun doing, but adds value to other people's lives. And another mistake that comes with that is they're not doing the numbers "“ they're not looking at what the competitors are doing. One of the best ways to look at a new market "“ there's quite a few methods that actually teach on choosing a market "“ Glen Livingston and I just got together and did a whole new course on choosing a market. But one of the primary method we start with is we'll actually look in a market and we'll see who are the winners in pay-per-click. Who's winning consistently in pay-per-click, meaning that they're staying near the top and their ads are continually running month after month "“ who is doing that. And when you find that out, you know who's winning, then you can subscribe to their list, see what they promote to you "“ what they offer. And a big mistake I've seen a lot of clients make is that they want to go into a market and just sell an eBook. That's all they want to do is sell an eBook. But then when we do our research and we do the numbers, we look at the competitors who are doing well and we find out that they might be selling and eBook on the front end or they might be selling an audio on the front end, but that's not where their money's coming from. Their money's coming from something else they sell on the back end "“ maybe they sell a higher ticket software program "“ maybe they have seminars that they run "“ maybe they have something else that they're selling on the back end. And that's where their money's really coming from. They would never be able to pay for that front end "“ for the advertising that they're doing just selling the eBook. So it needs to be more than just a cursory glance at the competition. You need to really look in and ask your self what business models are the top competitors using, and am I willing to do what they're doing in this market? Am I willing to do what it takes in this market? So it might be that I can't just sell an eBook, I have to sell other products along with it, maybe I have to do services, maybe I have to do consulting. What will I have to do to compete here because of what the competition is doing. I might find a better way long term to do it. But that's a good starting point in any market. And that's one of the big mistakes people make is they don't count the cost of just what it's going to take to get involved "“ what the competition looks like and finding some way that we can give a little bit of a unique value and a unique promise to our market as we go into it. So that's a major element. There's others, but that's a really good starting point. I'll throw in one more. Here's another method. This is something that almost nobody ever talks about. This will give you a lot of ideas as well. I really like people to pick a market that they have proof built in "“ they have proof before they even go into it. What does that mean? Well that means that if we went into, for example, a weight-loss type of market "“ maybe losing weight after pregnancy or something along that nature "“ it really would help them going into that market if they've already done that "“ they already have a story they can tell. That story becomes proof that they could use in the market. Or perhaps they're a personal trainer and they've already helped 15 women do just that and they can go back and get testimonials. That's proof that they can use when they go into this market. If you are going to teach people something and you've consulted with Fortune 500 companies for 10 years on this subject, that's proof that you can use coming in. If you partner with somebody who is an expert on this topic, that's proof that you can use coming in. So don't just look at something that has value, but look at something that you can have proof to back up a promise as you come into it, so you have a unique promise and you have proof to back it up. And that's really going to give you a big advantage when you come into a marketplace like that. There's a big difference between a subscriber -- even a loyal subscriber -- to your free mailing list or blog, and someone who opens their wallet and buys your product. What are some of the biggest mistakes marketers make that prevent people who's attention and trust they've earned from becoming paying customers? The most common mistake that I see people make "“ and when I go into a business that has made this mistake already, it's really tough to pull them out of it. It takes a lot of effort, it takes a lot of time, and it's gonna take some pain if they make this mistake and we want to pull them out of it "“ and that's just what they call moving the free line "“ just giving more and more free stuff without ever selling. If that's all you're doing is just giving more and more free value and you're not selling at all to your list, you are building a list that expects you to just give them free content, that's all they expect from you. When you do promote, a couple of things will happen "“ you go back and you try to promote to this list, you try to turn it into a valuable list "“ one of the things that will happen is they will get angry at you. For now, you've become a capitalist and you're trying to make a profit from your list. So they're angry because you're promoting something to them. The second thing that's going to happen is they're going to tell you how much they liked you before and they don't like you now. And so it's going to be an emotional hit on you. And finally, they're not going to buy at first. You can eventually train them by doing regular promotions, but it's going to be a painful process as you go through that, 'cause you're going to get a lot of hate mail during the period that you start marketing to them. Because that's what you trained them to expect was just free content and no promotions. So I actually tell people from the very beginning with a list, you mix in content with promotions "“ you do a mixture of both. And that we go stronger to the content side "“ we give more content than we do promotions. But still it's a mixture from the very beginning. Or you'll notice that if you're on my list, it's a style where I give content, but all content "“ just about all content "“ leads into a promotion of some sort at the end. So I write emails "“ it's not necessarily a break up, hey we get 70% of our emails that's content and the other 30% of our emails are promotion "“ it's more like I send out emails that are 80% content and then the last 20% of the email is a promotion. Or sometimes I'll do the promotion up front "“ we'll do a promotion in the beginning and then we'll give content afterwards. So it's a mixture "“ it's not like you can skip over the email and not see the promotions, or you can just see promotions and not see content. It's a mixture that I'm doing all the way through. And that really leads you to the other side "“ the first side, the first mistake people make with their list is that they're not doing any promotions in the beginning, so they train their list to just look for freebies. And the second mistake that you can make is obviously the opposite side, and that is you just send promotions, and don't give any content "“ you just do promote, promote, promote. And the interesting things is if you actually ran the numbers, and just tracked your numbers, that method earns a good amount of money in the beginning. It works in the beginning, depending on what you're selling and how well you promoted it and how well you're doing. The problem is that your promotions and your response starts going down, it starts going down, starts going down as less and less people pay attention to you because that's all you're doing is promoting. So the real happy medium as a business is to find a mixture where it's part content, part promotion. And I said 70/30, I said 80/20. But it comes back to your list and what you want to do. I see it as giving more content than you do sales pitches. And in this, I also don't want you to look at content as what people say, hey content. Here's 5 tips to do this, here's 7 tips to do that. You really need to bring personality into that content as well. So I tell people what I call the "3 E" strategy for email. That is, we're going to entertain, we're going to education, and we're going to earn. And so a lot of times I will produce emails that have all 3 of those included in one email. I entertain people, which for me, I don't tell jokes "“ I'm not a joke teller. I tell stories. You know, stories about my life, or metaphors that I can hook in my business. I tell you things that are going on. That's the reason I said for the very first question, I tell my subscribers and my readers quite a bit about my life. So I tell them stories, and that's where I bring in the entertain. Then educate is really, what's the moral of the story, what's the value they can take away from it, what can they use in their life. And then the way that I earn is I then connect that over to some product or service that I'm selling or I'm offering as an affiliate or something that's hooked onto it. So it becomes all 3 parts in many of the emails. And that's really what I tell people to practice on and work with is using those 3 Es, entertain, education, and earn in each email. And you'll build a very powerful subscriber list that buys from you by using that method. The most important marketing principles are timeless, but the environment that we apply them in is always changing. In what ways, if any, have changes in the internet landscape changed your approach to marketing -- what generally accepted practices of a few years ago do people need to leave in the past? This is actually a hard question for me, because there aren't very many techniques that I've left in the past, because the reality is, as you said, marketing principles have stayed the same. And it always seems like there's almost like a rotation, where something comes in and out of fashion "“ I was thinking about this and discussing this with someone else the other day. For example, when I first started online way back in 1996, banner advertising was very popular. That was like the main form of advertising online were banners. And then banners got very high priced during the dot com boom back in 2000 and afterwords, and they totally went out of fashion. We did not use banners anymore because you couldn't make a profit with them. But now it's kind of reversed all the way back around today, and banners are a good way to make sales and generate leads to a website again. And anybody who's used the Google display network "“ I can't say it for everyone here, but the people I've worked with "“ we get much better click-thrus by using image ads, which are basically come type of banners, than we do text ads on the display network. So banners has come all the way back, we'll say, in fashion. Another one to think about is sending out direct mail to customer lists. We did that in the very beginning, but then it kind of, it fizzled out and died out because email became so strong. But now we're moving into a phase where email is not producing as good as it was. Right now it's not. And you're finding that if you've got a customer list, a great way to increase you're profits "“ you want to increase your business profits by 50% or more "“ is to start sending direct mail to your customer list "“ people who've actually bought from you. So that's come back around. So any techniques that I would totally leave in the past? I don't know of any. See, the question that came up there is the ones that would obviously come to you would be ones that people would think of as unethical, or just do something quick. I've seen people do, you know, black hat search engine positioning all the time. But I never recommended anybody do that anyway. And so those die out. And so really what I've always focused on are the long term, die hard marketing principles that have worked and always work. Like another method. Even like article marketing. Article marketing used to be more effective than it is today. But today, it's just been slightly modified. And if you contact good blogs "“ high quality blogs "“ and produce a guest post for them, that's still article marketing. It's just a new method of doing it. So that's what I really want people to look at, is almost anything that's done, there's a "“ all the internet does is make things a little bit more convenient. Things come in and out of fashion. Things change. So if you thinking about long term, ethical marketing, you can use pretty much any promotional strategy. It just changes how it's used. Let's go back to another old one. There used do be a thing called free-for-all links pages that you go up and put your links on. Nobody uses those. Nobody has used those in years online in any way, shape or form. But what do we do now instead of something like that? We participate in conversations on blog comments. We participate in conversations on social media. So it comes around to a different way again. Things change online, but they don't. It's just the method and means of what we do changes. Coaching requires a lot of different skills: understanding of business, insight into others' businesses, effective teaching, etc. Someone once offered me a large sum of money to coach them personally, and I turned them down because I wasn't sure I had the complete skill set. How does someone who wants to coach develop the qualifications, and how do you know when you're ready? That's a really good question. And the reason it's a good question is because before you get started "“ before you coach your first client ever, you will not know that you're ready or not. For me, it was an interesting process because I started online, and then after I started online "“ I was selling other products, I was selling other people's products and services, I was selling as an affiliate, basically partnering with a couple companies that drop shipped for me "“ sold those products also online. And people started asking me how is it succeeding online, what I was doing online to make it work, and that's why I started teaching internet business methods to them. Then I was invited a little later on to speak at a conference. And I spoke at a conference about marketing online "“ people asked me all kinds of questions there. And I found that during the conference I ran pretty much like a big Q & A section, answering a lot of different people's questions and helping them that way. And after that I evolved into doing some group coaching programs, where I sat back and I created a group coaching program from basically a system. We'll say, step A, step B, like a 6 week or an 8 week system, of here's how to achieve these results. And each week we'd have a lesson, and then they could have like an assignment, they turned in some action steps they were supposed to take "“ they turned back into me. And then I'd coach them, give them feedback on it. And that's how I worked in the group coaching program. So then eventually I evolved over into doing one-on-one coaching to get even more specific help on people's specific situations. And I think that all through that process it was a step-by-step learning system for me to follow. For someone who's starting out and they want to coach people, I'd would tell you first you need to become an expert in whatever it is you're coaching. And understand in this that I'm not a life coach, I'm a business coach. And I'm specifically an internet business coach. And I pretty much "“ you'll see the name of my company is "My Marketing Coach", so I focus more on the marketing than anything else. So I don't have a complete knowledge of how people should live their lives, or anything of that nature. What I know is how to help businesses increase their profits online, that's what I do. And I've become very comfortable when they show me their websites, how we can get a better conversion "“ here's their traffic numbers, how can we improve their traffic. I'm very comfortable with those types of questions and helping answer. I end up helping people on some life issues at times because all of your life does affect your internet business "“ outsourcing, your work schedules, your talents, your skills "“ working those in. So those do come into play, but I'm focused on being a business coach. What I would suggest that most people do "“ instead of jumping out and saying that you're a coach for anything and that you can help them with anything general "“ instead start out and put together like, one of the group programs, like I said I started with earlier. And with that group program, basically come up with a problem, just like we'd develop a product "“ figure out a problem that you can help solve because you've solved it for yourself, you've helped other people achieve success through it, maybe through a product or service, or maybe just directly talking to other people you've helped them solve the problem "“ so a problem that you can help solve; a promise that you can make of some benefit that you can give them; and then a system that takes them from problem to the promise. And I would tell you to make this system somewhere between 4 week and 8 weeks. So, you know, don't solve all their life's problems, because that would take you longer than 8 weeks. But come up with some problem that you can take them to the promise between 4 and 8 weeks, because that's what works out good for a group program like this, and so you're going to get 4 to 8 sessions that you get to create that take them from step A all the way to the solving the problem. And figure out how you want to respond them, so maybe you'll teach "“ this could be "“ you could make a program like this that's one-on-one, or you could make it group based "“ either one "“ because the idea is, each week, you will work on a specific element to get them from the beginning to the promise "“ from the problem to the promise "“ that's the goal. We're gonna have to take a new step each week. So we could have "“ it could be one-on-one or it could be group "“ most people do it group when they start like this. You go through and you "“ what are you going to have to teach, what are they going to have to learn this week. And then what are the action points that they're going to take this week. Because in a coaching program it's really all about action "“ that's what it comes back to. I'd say probably, people, about half the money they pay, the reason they pay the money is because they need someone to hold them accountable for taking action. The other part is the fact that they need the expertise. That's what you're selling, is you're selling expertise and accountability. You can tell them what to do, and you're going to keep tabs on them if they do it and help them along the way. That's what you're doing as a coach. And so figure out those steps, so what are the action steps, what do they need to learn this week, and then what are the action steps, what steps are they going to take, and then how will you give them feedback and keep them on track? You might give them feedback by email, you might give them feedback over a group call together each week or a group webinar together each week, or it could be one-on-one over the phone or over skype or even face-to-face. But do it this way first, do it as a system, from problem to promise, 4 to 8 weeks. And that really helps you think through the system you're going to teach them. And that's where you start. That's much easier, and you're going to see it much easier to sell, much easier to for you to deliver as that specific problem to promise solution that you're offering through your system at first. Later on, after you do that and you're comfortable with that, you can take on more problems, you can take on more issues, and it can become more of an open type of coaching program for that subject, but start there "“ that's where it really works, really starts with it. To get training for it, there's a lot of training programs out there that'll teach you how to be a coach. But a lot of those really are teaching you to be life coaches. So what I would recommend for most people is to hire themselves a coach, possibly hire a couple of coaches, and find one that they're really comfortable with to work with at first. And they will pick up a lot of skills, and ask them. If you're comfortable with this person, what are they doing that's making you comfortable "“ what are they doing to coach you? Ask them for help on how you can do the coaching as well "“ make that part of what you're doing in the coaching. And that's really going to help with you, is working directly with that coach. And it's going to make it easier for you to sell your coaching, because you will be sold on the coaching yourself. Because you bought it, you paid for it yourself, and now you can sell it out to someone else. Because you'll basically be sold on it, because once you have a coach, you won't want to go without them. One of the things that one my clients have said who's been with me for a couple years is she originally said that one of the big benefits of [having] a coach is that she never had to feel alone again "“ she knew she had someone that would give her feedback on ideas, someone that would help, someone that would give advice, someone that would hold you accountable, so you'd never have to feel alone in this business. And internet business, overall, is a lonely business. So that's a strong benefit to it. Where can my readers go to find out more about you, what you're working on these days, and the products and services you offer? Well, the best place to go is to go to MyMarketingCoach.com. And while you're there, you can pick up your free report and free audio about the Internet Lifestyle Manifesto "“ about living the internet lifestyle "“ how to build the internet lifestyle that you dream of. 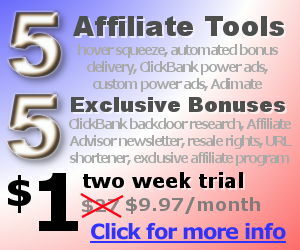 You can pick that up at MyMarketingCoach.com, and that will also subscribe you to my list. And I send emails about twice a week to my email list, and you can unsubscribe at any time. It's totally free for that. And the report is probably about 40 pages, and it's close to an hour long audio talking all about the internet lifestyle, building the lifestyle, what barriers you're going to run into, what problems you'll have to solve. And then new projects that really relates to this, is coming up early January, I have a product I did with Glenn Livingston called "Choose Your Market", which you'll find at ChooseYourMarket.com. And then later on in January, into February, you can subscribe now to the "“ right now you can actually subscribe to the pre-launch page. There's a product I'm doing, again with Glenn Livingston, that's all about conversion and improving the conversion of your websites "“ really giving a total conversion system. It's called "Total Conversion Code". And you can get on the pre-launch list over at TotalConversionCode.com. But again, for my free list, just come over to MyMarketingCoach, subscribe, pick up your free Internet Lifestyle Manifesto, and start looking and building that business that you dream of. The motto for my business is "earn more, work less, and enjoy life," because that's what it's really all about. It's about finding a way that you can give value to others, something that allows you to earn money, building a business that you can outsource, and accomplish as much as possible with the time you put into it since you're working less, and that you enjoy life. And that's what I talked about. You can't just say we're going to do what you love and the money will follow. But if you find something you can produce value, you can have fun doing it, producing value for others, and really produce a good, fulfilling life out of that. And that's what we're looking for. 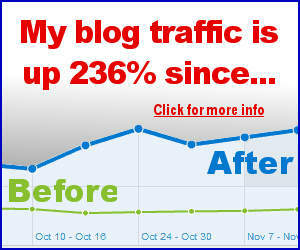 So you can check me out at MyMarketingCoach.com or the other projects that I mentioned.